Combine a banana with a couple scoops of ice cream and delectable toppings to serve your customers the perfect banana split using this Carnival King 8 oz. banana split boat. This clear, plastic container is perfect for showcasing your signature splits and sundaes, and can also be used to serve other goodies as well, like candies and trail mix. Use the 12 oz. 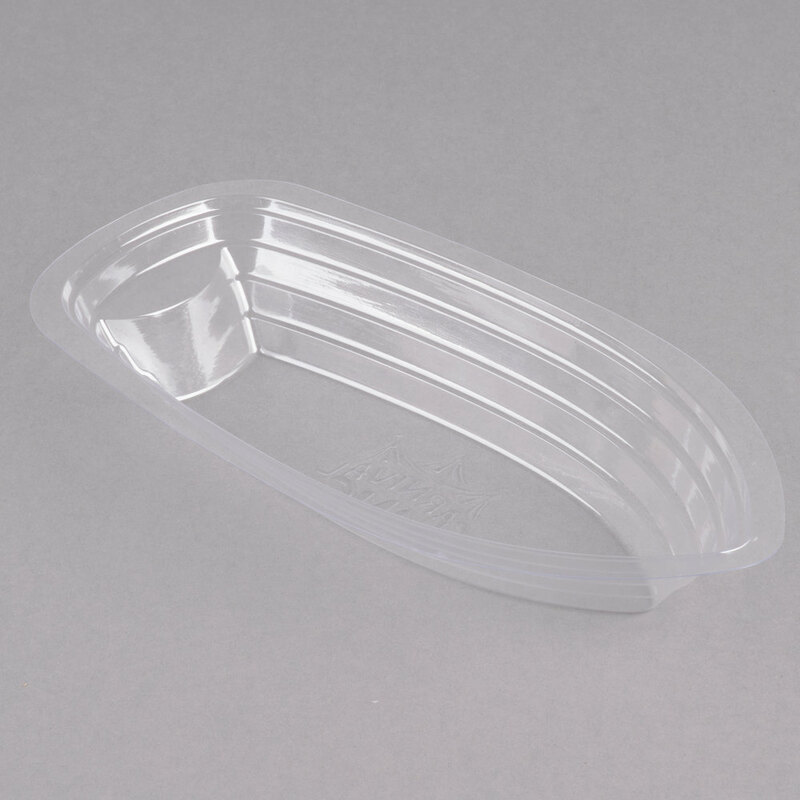 clear, plastic banana split boat as the lid (sold separately) to conveniently transport to-go orders. Made from durable PET plastic, this banana split boat will be the ideal serving piece for your establishment. Since it is disposable, it is great for to go orders and makes clean up a breeze! Each boat is capable of holding 8 oz., great for individual desserts.